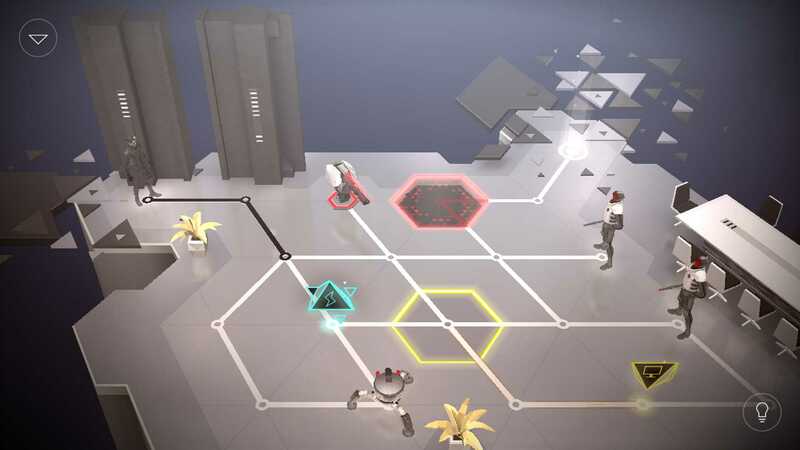 Almost a year after unleashing Lara Croft’s mobile puzzle adventure into the wild, Square’s Montreal studio is back with another re-imagining of a beloved franchise in the form of Deus Ex Go. This one brings super slick triangles and bearded, Batman-voiced Adam Jensen and his augmentations to mobile. Unlike Lara’s game, which pushed the boundaries of what Hitman GO did, Deus Ex plays it safe and suffers for it with a good but not fantastic experience. The GO franchise is treated to an entry with a proper story here as Adam tries to get to the bottom of a terrorist plot. These story sections split the 54 levels available into sets of 6 or 8 levels that take place in different locations. These locations separate the story into chapters ranging from Novak’s mansion to secret labs and bunkers. There are no animated cutscenes and the story is told through sparse and unobtrusive dialogue throughout key levels. Obviously the levels get progressively harder as new mechanics are introduced. Later levels start combining things together and you will end up wanting to fling your iPhone out of the window when you have a 40 step puzzle nearly solved and swipe the wrong way causing a drone to shoot you. Early on there are just guards that attack with line of sight. Then come the drones, turrets, walkers, and improved guards that switch directions. You do have the ability to hack turrets or positions on the puzzle and augmentations in your arsenal. The augmentations range from being able to remote hack a terminal to going invisible for a turn. You also get to shoot in later levels. Hacking is very intuitive and involves drawing a path after accessing the yellow terminals. Some enemies will destroy this hacked path so you need to keep that in mind as well as the game progresses. Visually this is everything I imagined it to be last year when I was wondering what the studio would tackle next. The only shortcoming in the visual department is in environment variety and collectibles. Grabbing collectibles was a lot of fun in Lara Croft GO because in addition to mind bending puzzles, there was also a hidden object game playing in the grand scheme of things. Another let down is the lack of level variety. More puzzles with better mechanics is fine but I thought the GO games would get progressively better in each iteration and Deus Ex feels watered down in content. The bright side is that there are new levels being added weekly so the actual gameplay doesn’t end when you’ve completed all 54 levels. Each week seems to be themed around a particular enemy type. Takedowns are sublime. Seeing Adam execute a random one when you take care of enemies is great. The animation work is fantastic and there’s even a dramatic slowdown in some of them. There’s one set of in-app purchases that unlocks hints or full level solutions that give you the fastest path to clear a level. There are two available for free and I had to use them in the ending chapter as things got a little crazy even for me. Deus Ex GO isn’t as good as Lara Croft GO and that is disappointing. The levels are fun and hacking is great, but I was craving a lot more in a Deus Ex experience crafted by Square Enix Montreal. I’d have preferred more content over being able to unlock Praxis kits for use in Mankind Divided. 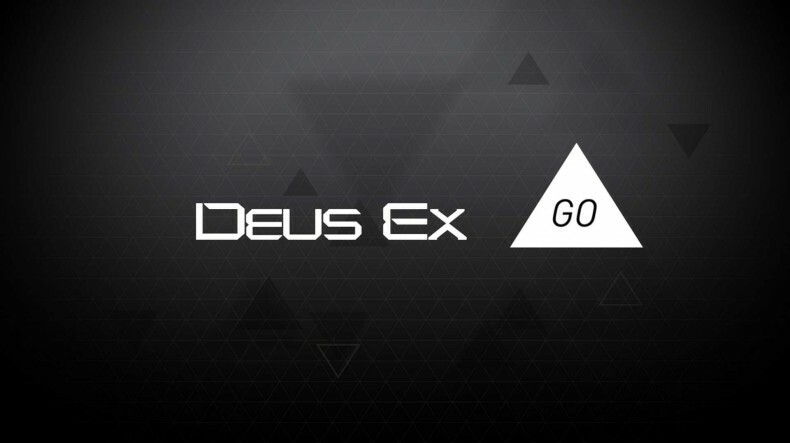 Regardless, Deus Ex GO is a good puzzle game for both fans and newcomers to the franchise. A fine addition to the GO franchise of premium puzzle games on mobile but one that is not as good as previous entries.